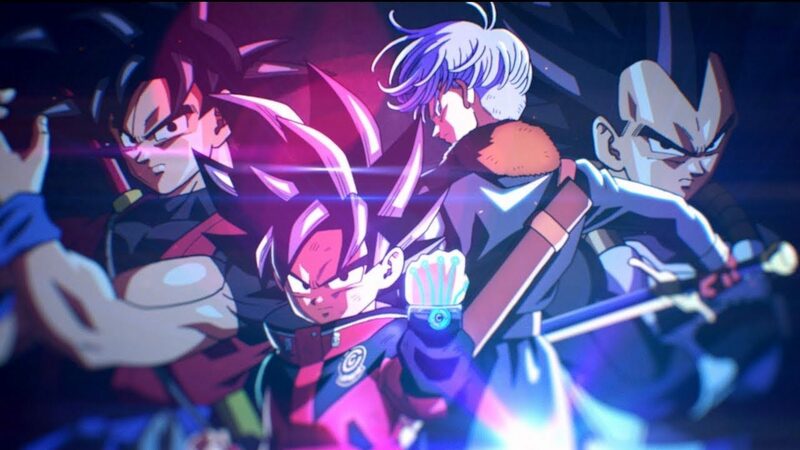 Super Dragon Ball Heroes: World Mission is a bit of an anomaly compared to other Dragon Ball games on the market right now like Xenoverse 2 and FighterZ. 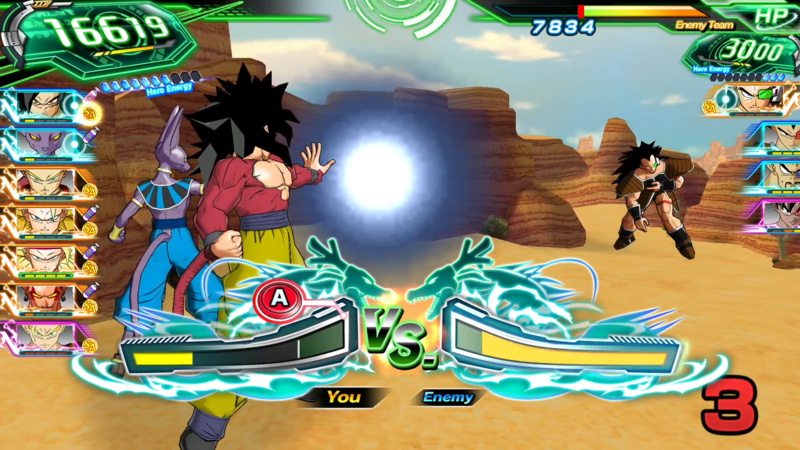 Whereas those games are hands-on fighters, World Mission is a turn-based card game that still maintains the speed longtime fans of Dragon Ball expect from the series. While the game does suffer in some aspects due to the transition from arcade machine to Nintendo Switch and PC, it still has its charming and fun moments. A short history lesson: Dragon Ball Heroes launched on Japanese arcades all the way back in 2010. In the arcade version, players could use real cards on a set board to battle it out with other players. There’s a collecting aspect that obviously can’t be replicated on the Switch or PC. However, as the game has had nine years to grow and evolve, there are over 1,000 cards for you to collect. Better yet, every card is accompanied by unique abilities and character models. While the physical gratification of collecting isn’t there, not much is lost due to the amount of content you can acquire. Even with the gacha nature of the game, I found the rewards for simply playing to be fair. The story mode is ultimately pretty throwaway. You play as your own customized avatar, although there’s very little customization actually involved. You essentially pick a class like Saiyan, Majin, Namekian, and a few others, changing their appearance and skills through leveling up. There’s no voice acting and the scenarios you’re thrown into aren’t really meaningful in any way. It’s rather corny and if you’re into that, you may get some enjoyment out of it. There’s a big original baddie and you, yes you, need to team up with the heroes and villains of Dragon Ball to overcome nearly insurmountable odds. With a lack of voice acting, static cutscenes, and uninteresting scenarios, I couldn’t care less though. While the story is bad, there’s plenty of rewards for playing through it and harder paths that’ll reap you even better rewards. There’s also an arcade mode with more scenarios than I could care to count. 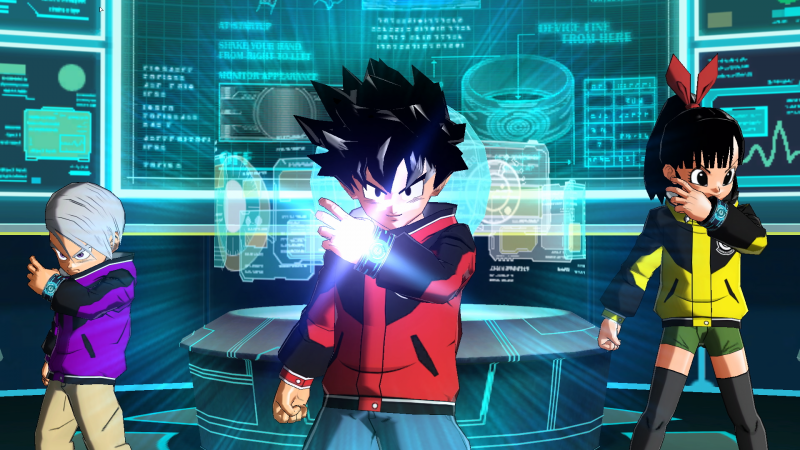 Super Dragon Ball Heroes: World Mission includes characters from every series, movie, and fan fiction you can probably think of. Super Saiyan 4 Broly, Super Saiyan 4 Gohan, Super Saiyan Nappa, and more. They’re all here and Dimps has packed them into an arcade mode that offers tons of scenarios for players to explore and conquer. In the story and arcade mode, you progress in a pretty linear fashion so most of the actual gameplay is within the battles themselves. Battles play out on a horizontal grid with four rows. You place your team of up to seven characters wherever you see fit. The closer you put them to your opponent, the more stamina they’ll use to attack and ultimately do more damage. Placing characters in the back row has them regain stamina and stay out of fights. Each character is set to a certain color so it’s important to make sure you’re thinking about who to attack with and when. Blow too many of your characters’ stamina early on and they’ll be vulnerable to attack, but attacking with all of them together may help to end a battle early. Unfortunately, the game’s tutorials really don’t do any of the more complex systems justice, but if you’re not here for the metagame it’s not something I personally feel you have to worry about. As far as difficulty goes, I didn’t have much trouble with any AI encounter. In battles, attacks are based around a quick minigame that has you timing a button press against your opponent. Whoever has the better press will either do more damage or block more damage. I like to think I’m good at timing button presses so I didn’t have much trouble even on the harder difficulties, but if this is something you don’t think you’re good at you may find it harder than I did. 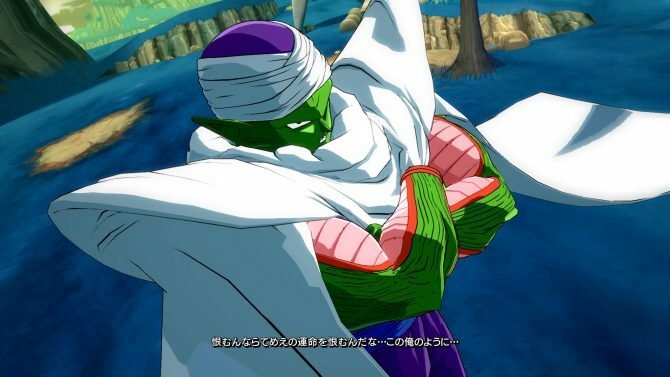 Characters also can gather enough energy over time to do their iconic super attacks and certain heroes also have special abilities that can change the course of battle. For instance, a particular Bardock card I have can freeze my opponent during their attack during a specific turn, then Bardock is allowed to do a counter attack. Oftentimes, these special abilities require players to do some sort of input with the analog sticks in place of the actual physical cards on the arcade machines. It’s not super engaging and can sometimes be really drawn out for only some small benefits. I mentioned that this game still has the speed that Dragon Ball battles are known for. Matches only last for five turns, and the victor is determined by K.O. or having more HP at the end of a battle. It’s nice, especially on the Switch, as it gives Super Dragon Ball Heroes: World Mission that jump in, jump out feeling that’s great for on the go titles. As I previously mentioned, one of the things that can get a bit monotonous are those special abilities that interrupt the action, throwing you into mindless minigames that have you twiddling the sticks every single time. Furthermore, there are sometimes passive abilities that appear way to quickly, like so fast you can’t even read them if you tried. 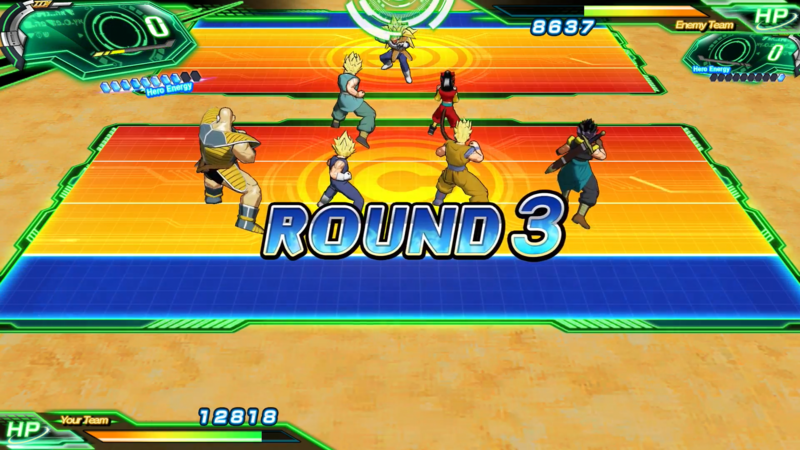 Super Dragon Ball Heroes: World Mission’s online mode is actually quite great. Even when going up against players from around the world, lag was never really an issue. I’m assuming this is due in part to the turn-based nature of the game. There’s ranked, casual, and private matches for friends. Players who get really invested in the metagame are sure to have a blast going against players from all over online. Also, there’s a local co-op mode which is always a nice touch in my book. Everything you do in Dragon Ball Heroes nets you currency, experience points, items, and gacha tickets. You feel like you’re gaining things fast but for whatever reason, money seems to be the hardest thing to come by. Many of the special abilities and items you can buy in the store to equip to your cards are priced ridiculously. This is only counteracted by the fact that you really do gain so many freebies from playing. I didn’t worry about it too much but it made the item shop feel pretty worthless. Lastly, there’s the creation mode. Players can create their own cards by acquiring certain characters and abilities through playing. It’s not the same as getting your favorite characters card, in fact, it’s a different item entirely. The card creation system itself is really cool as you can distribute your own stats, customize the card art, and equip your card with abilities you’ve acquired through playing. The sky is really the limit here and it’s something I want to explore more in the future. There’s also a creation tool that allows you to build your own missions to upload online. It doesn’t amount to much though and lacks the same amount of depth that I personally found in the card creator. Nevertheless, it’s certainly a nice idea that doesn’t hamper the game in any way, it’s also cool to see what other people have put together. Super Dragon Ball Heroes: World Mission certainly has the content to warrant its $60 price tag. It’s really a matter of if any of this content sounds interesting to you. There’s a ton of replayability here if you really enjoy the game, and I can say that it’s something I’ll probably revisit overtime as a huge Dragon Ball Z fan. 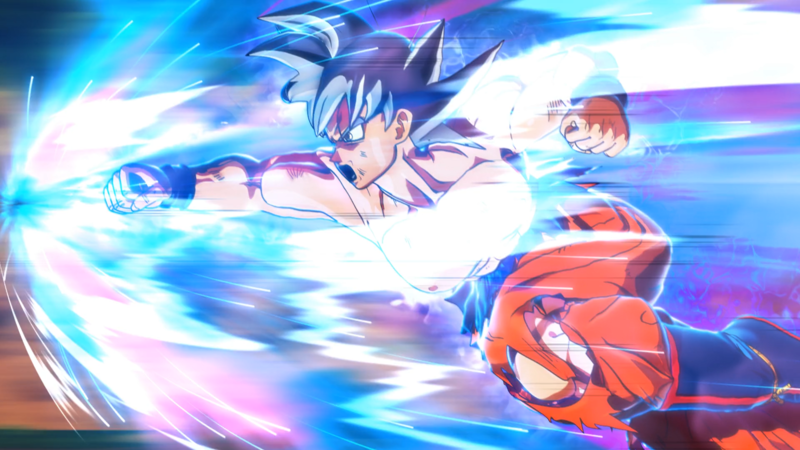 While it certainly doesn’t topple Arc System Works’ Dragon Ball FighterZ, Super Dragon Ball Heroes: World Heroes offers a refreshingly different experience.